Thousands of drivers are on the road with cracked windows, and it can be a huge safety concern, but it can also be costly if your state laws prohibit driving with a cracked windshield. Repairing or replacing your windshield is paramount for safety and to avoid traffic tickets. This article will give you a rough idea on how long it takes to repair or replace a broken or damaged windshield on your car. 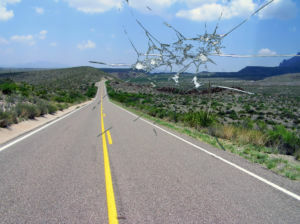 To learn if your windshield cracks can be repaired see our Repair or Replace Windshield article. We have a helpful chart with different crack types and sizes to help you determine if repairs are possible, or if a full windshield replacement is necessary. How long do windshield repairs take? Windshield repairs typically don’t take a long time. Assuming you have an appointment at your local windshield repair shop and don’t have to wait, a windshield repair will usually take no longer than 30 minutes. If cracks are only a couple of inches small and preferably not crater or bullseye types, you should also easily be able to repair them at home. If you’re looking to save money you can purchase a DIY windshield crack repair kit. Glass repair kits can be purchased for less than $10, and most will do the job adequately. Repairing cracks in a professional shop will cost about $30 or more. Read our windshield repair cost article for a more in-depth analysis of costs and expenses involved. We only recommend repairing cracks at home if they are very small and not directly in front of the driver. 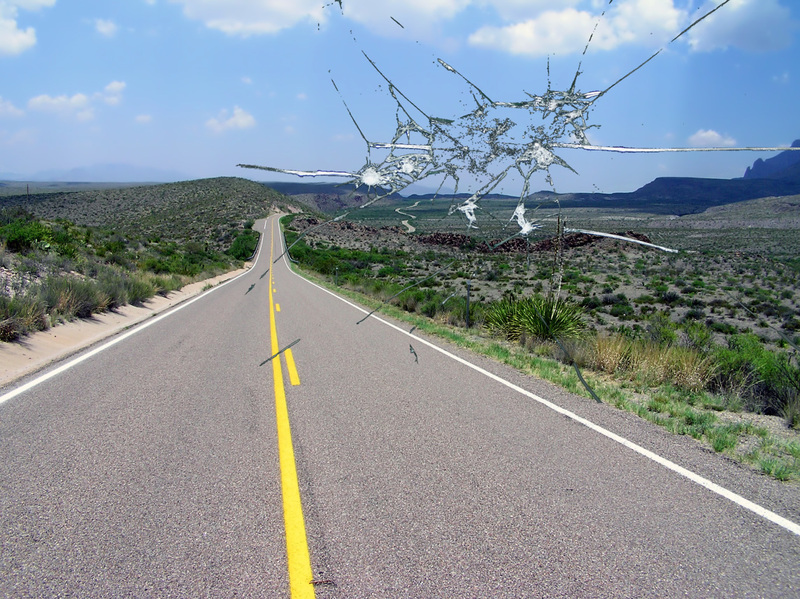 Cracks which can potentially obstruct your clear view of the road are probably illegal according to your state laws. Leave these to experienced professionals to ensure they are barely visible. How long does windshield replacement take? Large cracks, typically over 6 inches in length are harder to repair. Crater, bullseye or combination of these cracks can also be difficult or even impossible to repair. In case your windshield can not be repaired a full replacement will be required. Replacing a windshield usually takes 1-2 hours. This only includes the actual replacement job. It’s highly unlikely your chosen repair shop has spare windshields for your car model, and ordering a new one can easily take several days. Windshield replacement labor costs are often above $50, and new windshield will cost $300 or more. If you have additional road hazard insurance your insurance company may be able to pay for your new windshield. Windshield replacement prices and expenses are covered here! It’s always better and safer to replace a cracked windshield. But if cracks are small enough you should consider repairs, as the price is significantly lower. In some cases your car insurance company may cover the cost of repairs or replacement so it’s worth looking into. Make sure to also consult your local state cracked windshield laws to learn if repairing is legal depending on extent of the damage.